Home » Real estate » Is It a Big Deal To Find a Right Apartment To Rent Out In Any Of The Indian Cities If You Are a Bachelor? Is It a Big Deal To Find a Right Apartment To Rent Out In Any Of The Indian Cities If You Are a Bachelor? 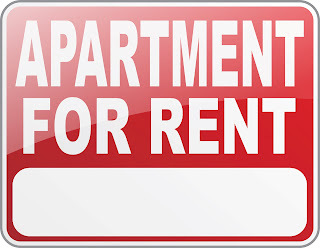 Renting apartments is something that is very common in our country. Obviously, being a country which is 70 % of villages and rural areas, it is very likely for the population to migrate towards the city for better employment and lifestyle. This is one reason, why the trend of people moving from rural to urban areas has always, even before the independence have been noticed in our country. And not just the want of a good lifestyle calls them here, but there are a lot of more reasons involves too. Like so many students, even students who live in cities, move to bigger metropolitans for attaining their education and doing courses that aren’t available in their cities. Also, so many people come to cities for their jobs. They get transferred here and have to be coming to this city for building up their career. These are times when rental houses help the people a lot. But we have always noticed one thing. That bachelors, face a lot of problem in managing to find a rental apartment for themselves. We are sure a lot of you might be confused and agitated as to why this problem has been happening but this is a fact that everyone is aware of. Say if a student is moving to Kolkata for his education and he need a 1 BHK flat for rent in Kolkata. This might sound very outdated, but trust us, it will take him quite some time to actually convince someone to let him use their house. What is bad is that like any other tenant, even bachelors are willing to pay the decided rent, but still they have difficulties to find a house for themselves. Why should this happen? Well, we can’t help the thinking on the mentality of the people. Actually, we cannot blame the landlords completely. In the past, there have been a lot of issues in which bachelors tend to create a lot of nuisance in their houses and thus they are doubtful while giving their house to a bachelor. But that doesn’t mean that if you are a bachelor, you cannot manage to find the right rental house for you. Just a little patience and careful behavior in finding your place can make you end up in a good house. Not that finding houses for bachelors is an impossible task. So below are some ways through which you can manage to find the perfect house for yourself. Know the landlord- See if the landlord is a positive person. As it is you wouldn’t want to live in a person’s house who is beforehand a very negative and skeptical person. Let your elders’ lead- Tell your parents or guardians to crack the deal. This will make the landlord feel that you belong to a good family and then he wouldn’t hesitate to give you the house on rent. Show your authentication- Tell them why you are here. If you take a 1 BHK flat for rent in Kolkata, tell them why you are here. For studies or for work. These are some tips that could help you find a good house for yourself. We know that this could get touch, but if you are on the right track, so you probably don’t have to worry about any ones opinion.